Whatever the size or finish of the shutter curtain, power operated or manual operation, standard or fire-rated we can generally offer a guide price proposal by return. 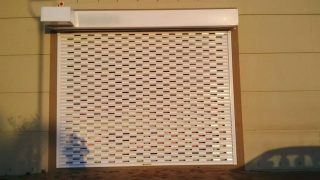 Roller Shutter Doors consist essentially of a curtain of interlocking slats which form a continuous hinge along their entire length. This construction permits the curtain to roll up or down as it is raised or lowered onto a reel which is mounted on steel support brackets. A bottom rail fitted to the curtain strengthens the curtain and allows for the fitment of handles and locking devices. The curtain is also prevented from moving side-ways by side channels or guides. The entire assembly is either bolted or welded to the structure and the rolling mechanism is enclosed in a canopy hood. 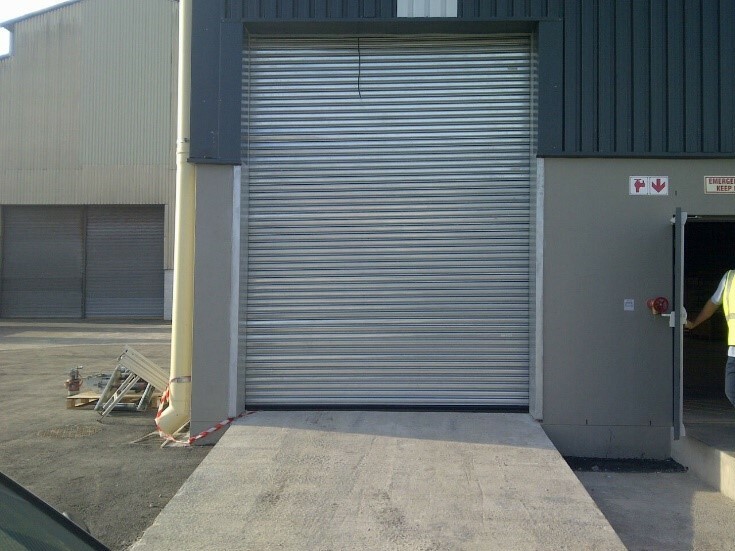 These doors are both economical and robust, which makes them one of the most popular types of industrial door on the market today. Each door is individually tailored to suit the customer’s requirements and can be manually or electrically operated. We are available 24/7 for breakdowns, with all parts manufactured locally we will have your door up and running in no time. Constructed from steel tube with helicoil counter balance spring(s), mounted on steel shaft, with mild steel bearing blocks at each end. Incorporating high speed bearings. Constructed from 75mm wide curved section, interlocking galvanised steel laths. Finished with a galvanised “T” section bottom rail. 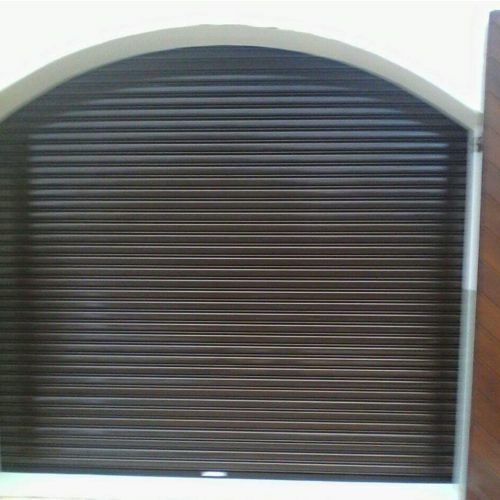 We offer the following types of curtains: fenestra, perforated and solid. 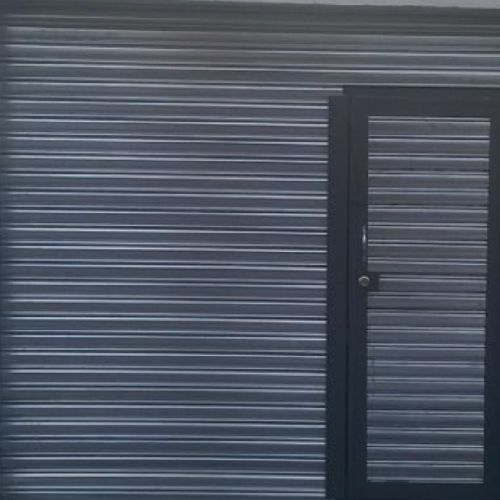 Please note all of these can be mixed and matched it is very popular to have +- 7 fenestra slats at 1.7M from ground in receive areas so staff can see the delivery trucks or vehicles before they open the roller shutter door. Constructed from 3mm x 63mm galvanised steel guide channel bolted to 75mm x 50mm steel angle. Self coiling, hand chain or via electric motor. By means of continuous galvanised hand chain, driving mild steel sockets connected by high speed roll chain. All electrically operated products are dispatched with correct machinery documentation. 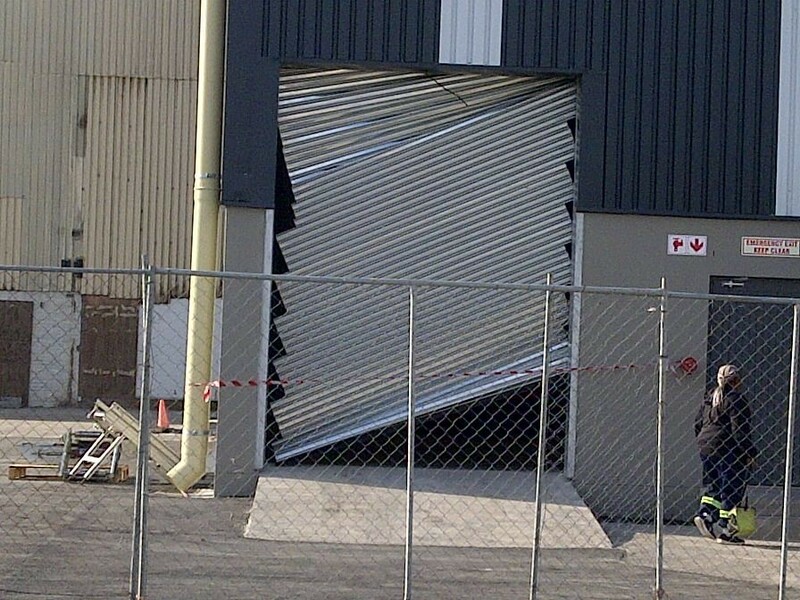 In 2001 the directors decided to open a division that would manufacture, service and repair industrial doors. Our reliable service and quality workmanship has made us one of the leaders in this field to. We maintain a huge inventory of parts as well as direct factory support from a number of suppliers and manufacturers. 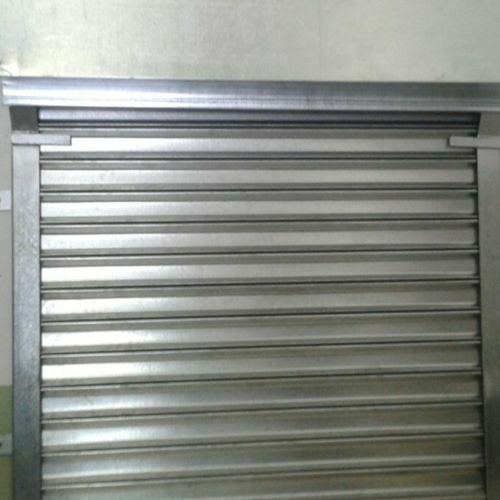 End Plates: 5mm – 6mm mild steel sheet steel bent and cut to size normally 350mm x 450mm depending on overall door opening. Canopy cover: galvanized sheet steel bent to correct size fitted either with rivets or self-drilling screws. Barrel assembly: we machine our own stub ends each one specifically designed and manufactured to serve its purpose. The stub end casings are machined and circlip grooves are cut on either one to keep the bearings in place. We only use sealed bearings on our barrels. Torsion spring: Each door has its own torsion spring designed and manufactured according to door opening dimensions and door weight. Sprocket drive wheel: we manufacture our own reduction plates and arrange the gear ratio in accordance to door opening size and weight, this is important to make the door easier to open and close for you the client. Drive chain: multipurpose roller chain and sprocket to suit. Chain sprocket: mild steel pressed chain sprockets. Hand chain: galvanized mild steel hand chain is used we have +- 1000M in stock on any given day. Crank operated doors: cast iron crown wheel and pinion, gearbox gears cast iron in sealed box and lubricated. We use 3 types of gearboxes; this is calculated according to door opening dimensions and weight. 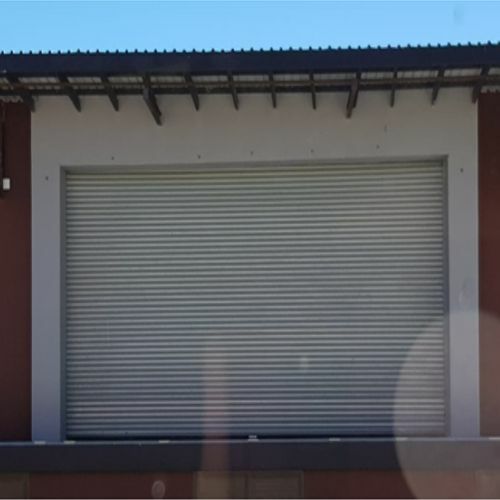 Motorized door: should you wish to motorise your new roller shutter door or existing old roller shutter door we at BRI-TON LIFTMASTER can assist you. We stock motors from 220V to 3 phase 380V as well as 24DC back up motors.